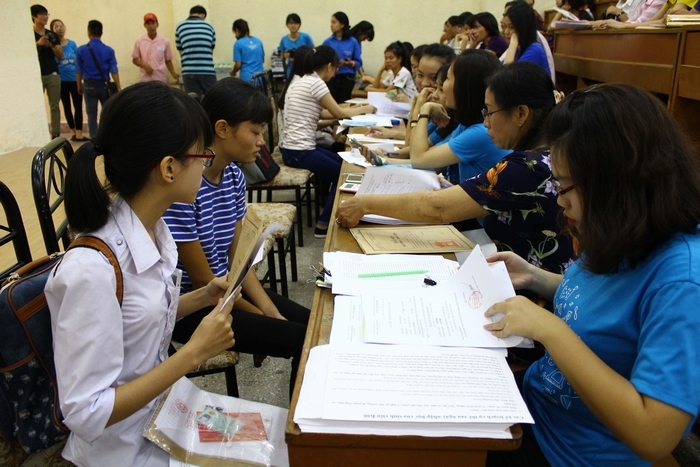 On 24/08/2016, Hanoi National University of Education organized the admission procedure for 66 freshmen (2016 - 2020) - the course began with the 65th anniversary of school establishment (1951 - 2016). Early in the morning, teachers, university staff and assigned volunteer students were all present to assist freshmen with the process of admission procedure. Similarly to previous years, admission procedure is guided following a clerical and specific process that makes it easier, quicker and simpler to collect students’ enrollment papers. 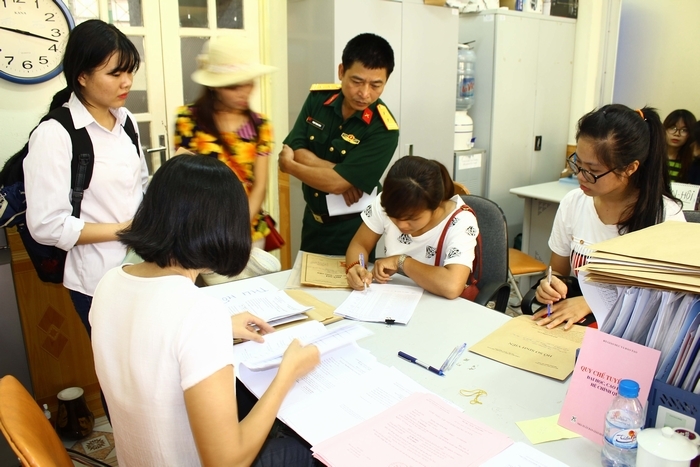 After completing admission procedure, K66 newbies have officially become freshmen of Hanoi National University of Education and started getting familiar with a new learning environment thru “Tuan sinh hoaat cong dan – sinh vien” of a new academic year 2016 - 2017 from 25/8/2016 to 28/6/2016. To every freshman, wish you all a solid heart to enter new school year 2016 – 2017 with full of energy and joy. 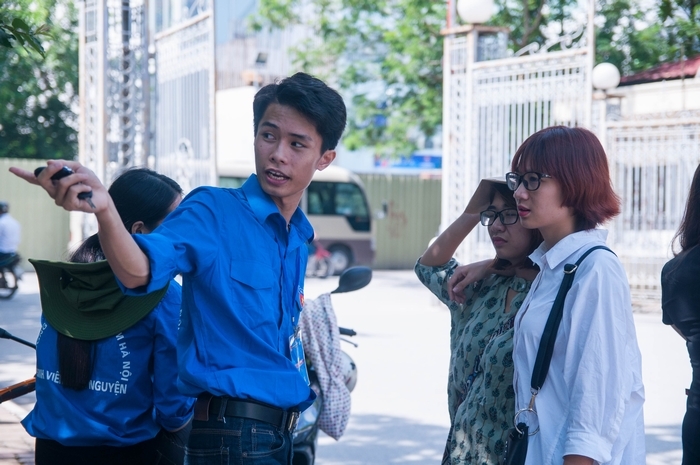 Hope that you will all get maturer in our pedagogical environment and become proactive students with responsibility and attempt to successfully complete every school year under Hanoi National University of Education. 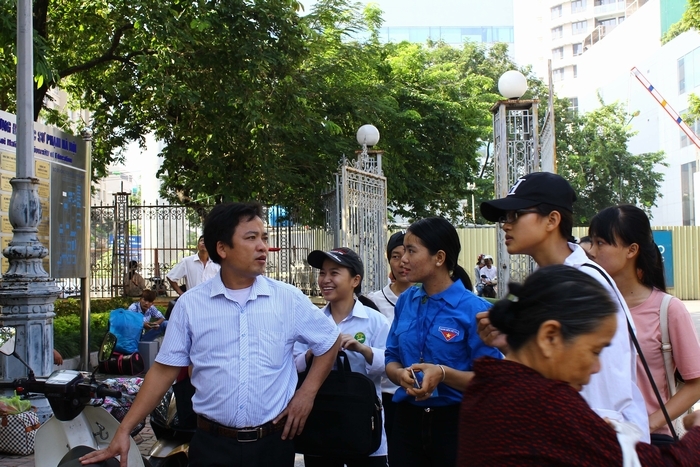 Wish that you will cling to your dreams and aspirations, which a part contributes to the development of Hanoi National University of Education.